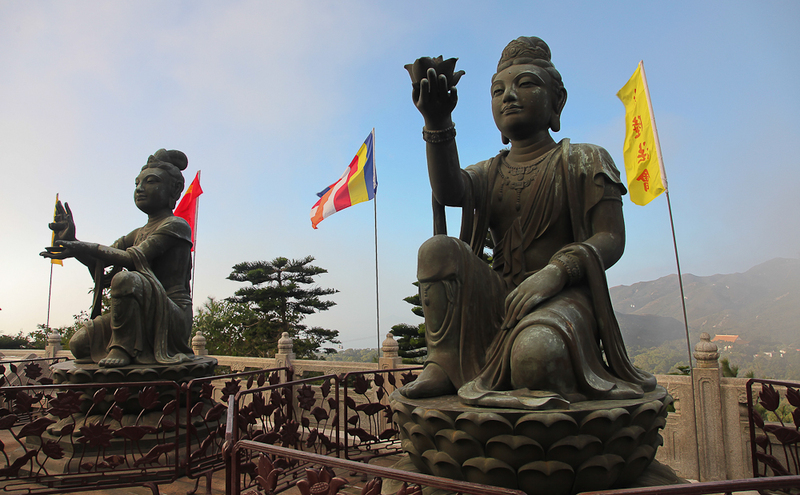 Big Buddha and the Po Lin Monastery | Singapore! I have been behind…so far, in fact, that I totally forgot I had more photos to process from our trip to Hong Kong (from December!). Sheesh. 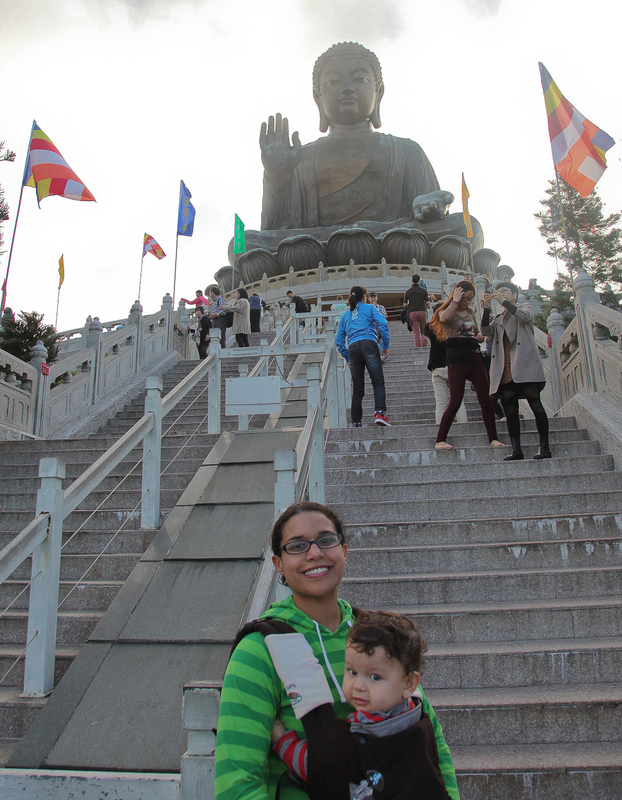 We took the train and then the cable car to the Po Lin Monastery and Big Buddha (Tian Tan) statue. 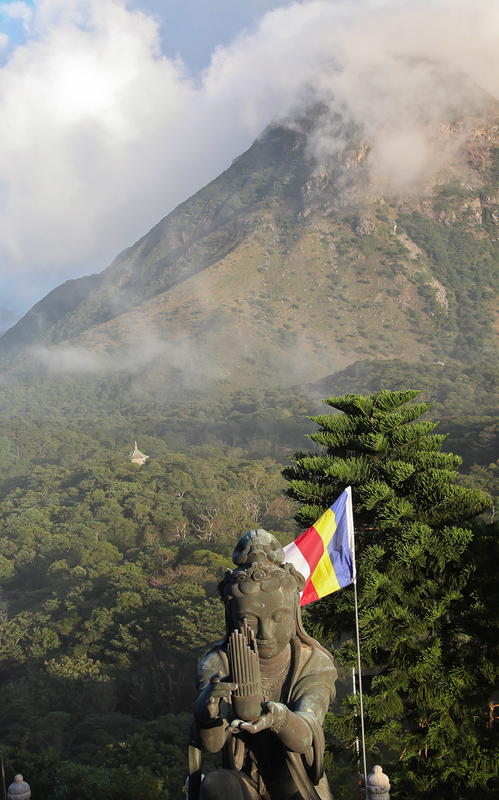 It is the largest outdoor bronze seated Buddha, on top of the mountains just outside of Hong Kong. It started out as a very cloudy day but when we arrived at the top of the mountain, the clouds gave way to a beautiful blue sky. We took the 240 steps up to the statue and took it all in. 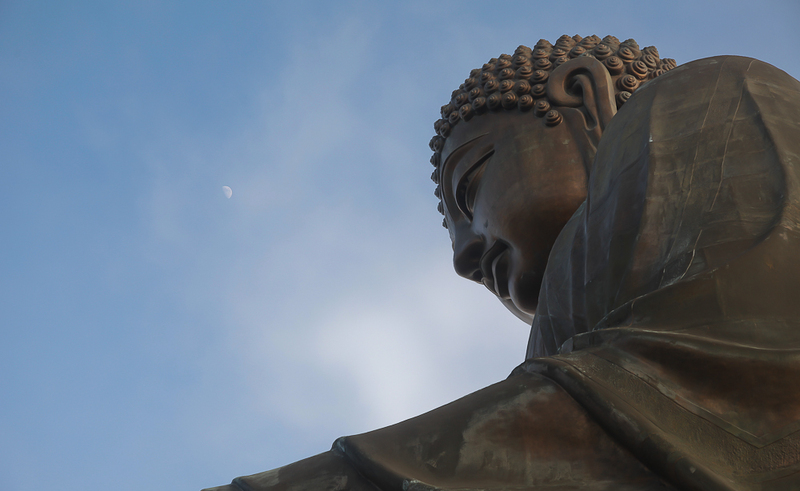 The moon popped out in the blue sky overlooking Buddha. 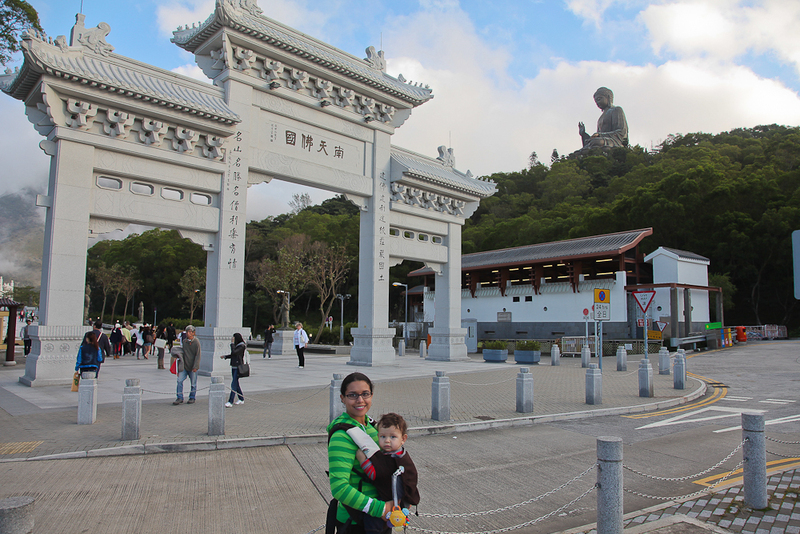 This was our favorite part of the HK vacation. With a short train ride, you are out of the craziness of the city and into mountains and wilderness. Lovely! 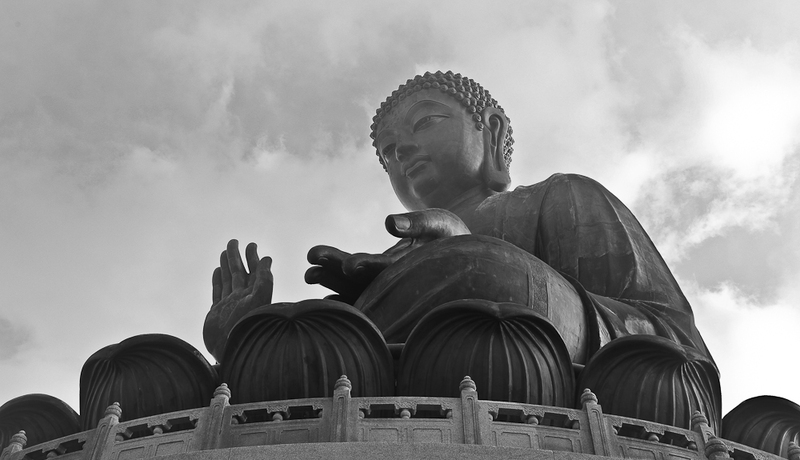 I went to Po Lin Monastery back in 2011, but it was a really dreary, rainy day. I never felt like I got any particularly great shots. 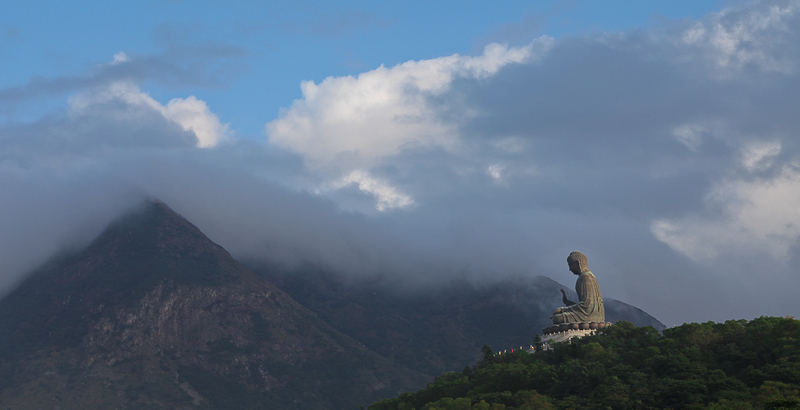 Love the ‘moon over buddha’ shot! Thanks so much! We got lucky to be honest. It had rained on the way up in the cable car. And then, things just cleared up. It was incredible. Nice blog and Flickr by the way. Headed to Tokyo soon! 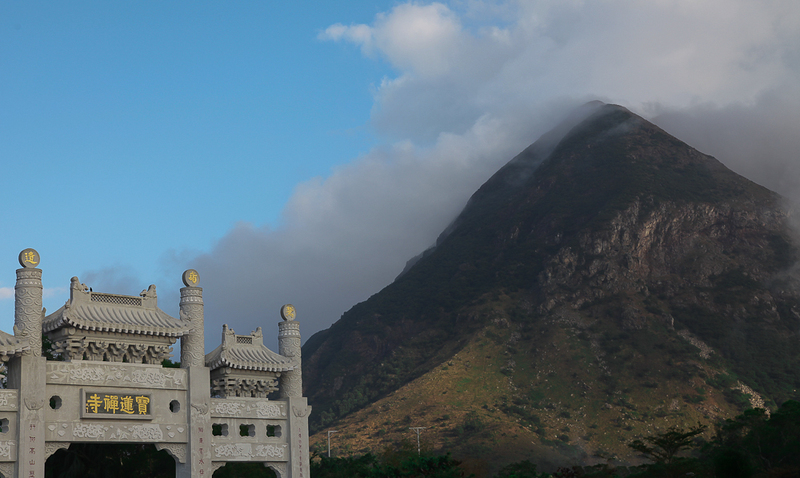 The sun came out just as I was leaving, it made the cable car ride to the bottom more spectacular. Have fun in Tokyo, it’s awesome!